I know we just got back from a vacation but I am already looking forward to Thanksgiving in Bali! Since it is blazing hot here I am missing all the gorgeous fall foliage and cool breezes. I didn't want to miss out on the amazing colors in fashion though and tried to come up with a compromise, something Evie could wear in Bali and not die of heat but still let me pretend it is fall ha! I came up with her Bali Break Tunic. The pattern for her tunic can be found HERE and if you would like to see how to make the awesome little belt around her waist you can check it out at I Am Momma Hear Me Roar. I LOVED that tutorial. I mixed it up a tiny bit by making a flower two colors and really liked how it turned out. This is a super easy little shirt and I think it would look great in rich fall colors (I just don't have any in stock ha!) 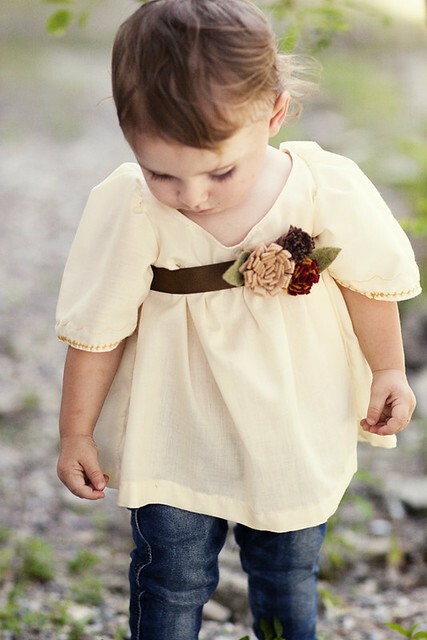 I also think I will pair it with her little denim vest from our family pictures to make it look more casual. How ever you wear it here is how you make it! Now you are going to sew along the neckline (and only the neckline). When you are done, flip your fabric so that right sides are out and topstitch what you just sewed. Now for the sleeves. First you will need to hem the ends (the less curved portion). Because it is bell shaped I would HIGHLY recommend ironing your hem before you sew it. It makes a HUGE difference and I never regret taking the time to do it. I decided I wanted to spice my sleeves up a bit so I hauled out my awesome but VERY old hand me down Bernina. At this point I had 3 sewing machines plugged in, you know I mean business when that happens ha! I decided to do a little embroidery with a burnt yellow thread. Now starting at the base of the arch run a gathering stitch up the arch and down. Then gather until it will match up nicely with the arm hole on your dress. Now flip the sleeve out so that the wrong side is facing you. Slide it over your dress matching up the seams. They should now be right sides facing each other. Pin all the way around. Now sew all around the raw edge connecting the sleeve to the shirt. When you are done remove the pins and flip everything right side out. Now you just have to hem your shirt. I took a good chunk of length off (it was looking more like a dress, which could be super cute but not what I was going for today). There you have it! I love how light and breezy it is because as you can tell by Evie's sweat hair it is getting HOT here. I really think the belt makes it super cute and thought if I had a wedding or something to go to I would just add more length to the tunic and make a belt with matching colors to the wedding party and taddah super adorable wedding party dress! But for now it is a fine walk around and eat rocks off the super dirty ground shirt ha! OH KELLY I AM SO IN LOVE WITH THIS!!! That is gorgeous! I love this! Is there a bb5.pfd file that has the other half of the sleeve pattern? I could only find sleeve b. This is beautiful! Thank you for the tutorial and the pattern! I love how you used the belt with the top. I saw that belt yesterday on her site and went gaga over it. Happy Autumn! That top is so cute, as is your daughter! Hi, I'm new, just added you to my reader. What a sweet top! I have a little one just younger than your daughter. I might have to try this one for her. I'm new to your blog too. I just fell in love with this top. My 1 year old daughter's name is Genevieve, but we call her Evie as well. I have to make this top for her! Did you also make the belt? That's stunning and I love the way you styled it! I'll be linking. It took me forever to get to this post because I could not tear myself away from your Bustling City dress. I love it sooooo much! It's unbelievably gorgeous! Thank you so much for this pattern and tutorial. I am so excited to make it for my little one on the way. Is there a page 5 of the pattern? Yes, I was going to clarify the missing #5 pattern page as well . Does the pattern print out to the actual size or do I need to enlarge it? 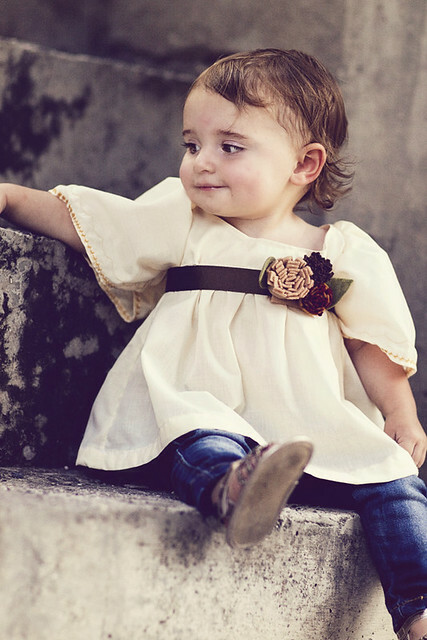 The sweetie in the pictures looks maybe 18 months? Is that the finished sized pattern? Sorry for the incessant questions!! I was wondering the size of the pattern as well. 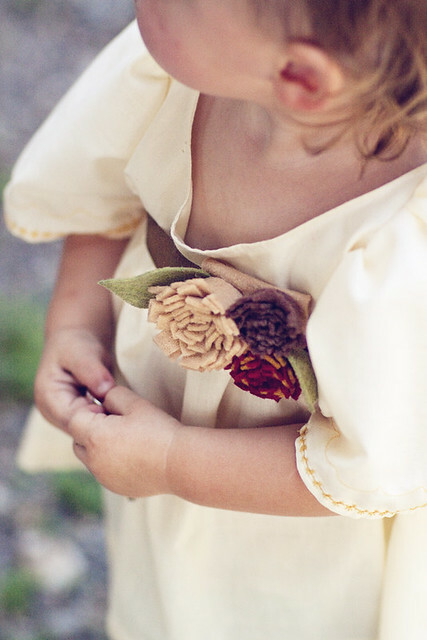 I can't wait to make this for my daughter. So cute. Bali Girls are beautiful and exotic. Their skin is a rich chocolate colour and personalities are spontaneous and outgoing. Bali Girls like confident men and underneath the innocent looks, gentle nature and shyness they are extremely keen for a man to be interested, flirtatious and wanting to get to know them. This top is absolutley beautiful. I was wondering what size the pattern it. I am having trouble telling based on the pictures of your daughter. 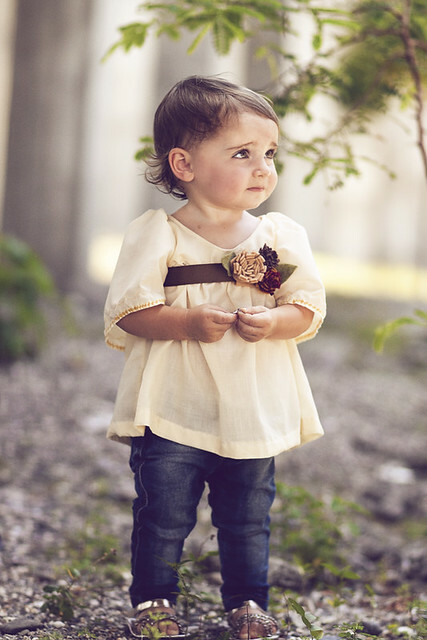 I really want to make this for my daughter but I don't want it to be too small. Thank you.